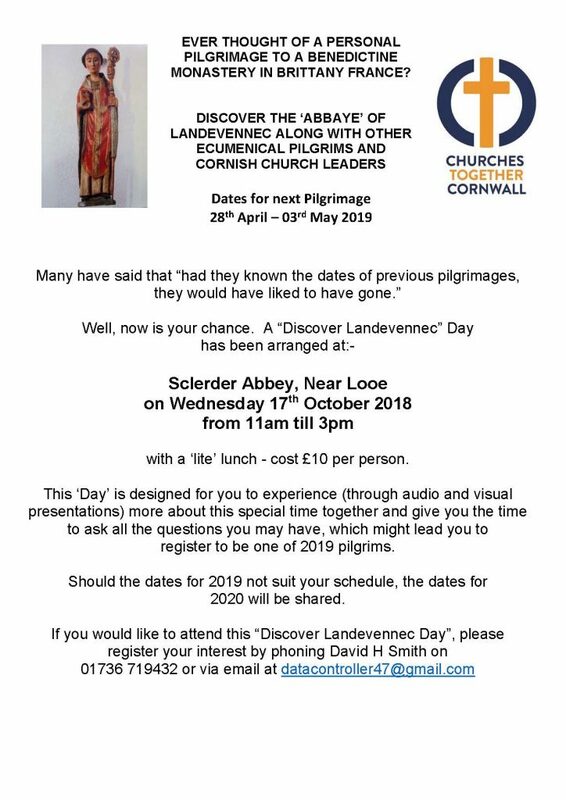 Find out about the next Churches Together in Cornwall pilgrimage to the Benedictine Monastery at Landevennec, Brittany. £10 including lunch. Book with David Smith on 01736 719432 or email.